This quad bike and canyon rafting combo was built for adrenaline junkies and thrill seekers alike! 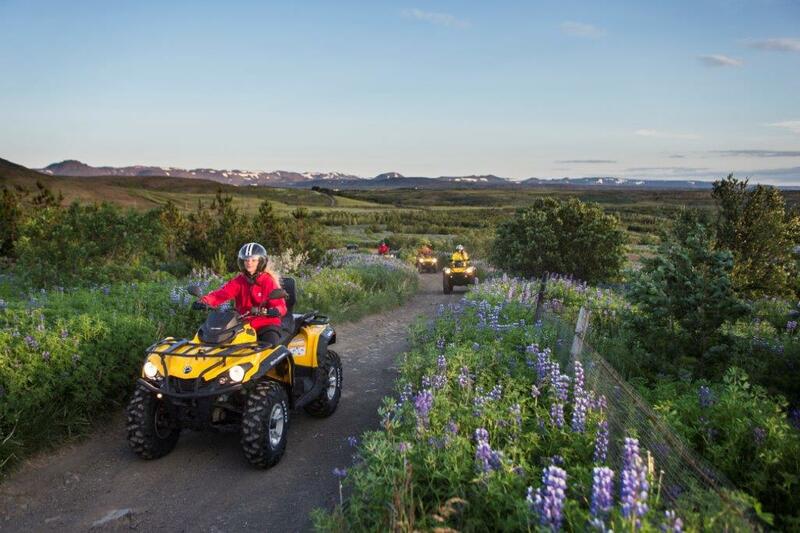 From sweeping summit panoramic views to rushing canyon rapids, you’ll experience the top two thrills in Iceland. Are you ready? What to Bring: Good shoes, towel, and good mood. 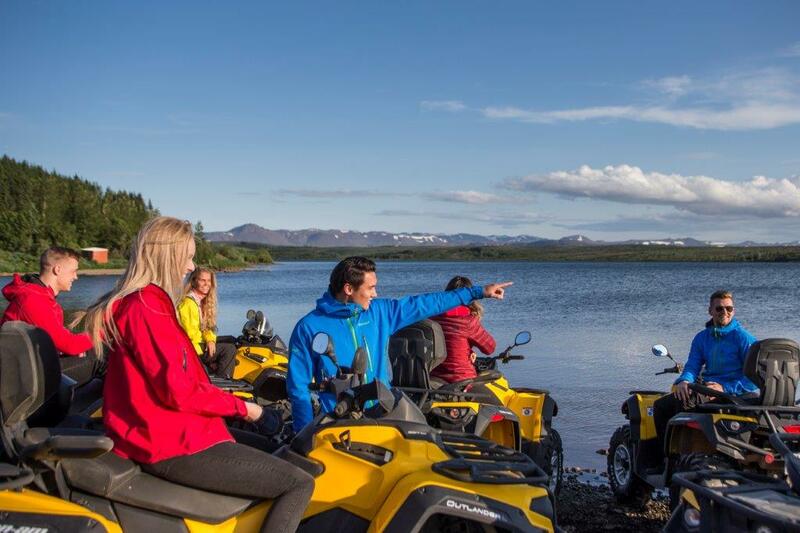 There are an incredible amount of tours to choose from when you arrive in Iceland, it’s overwhelming – we know! We’ve tried to make this easy for you by creating a tour tailored to the adventurous hoping to make the most of their day! 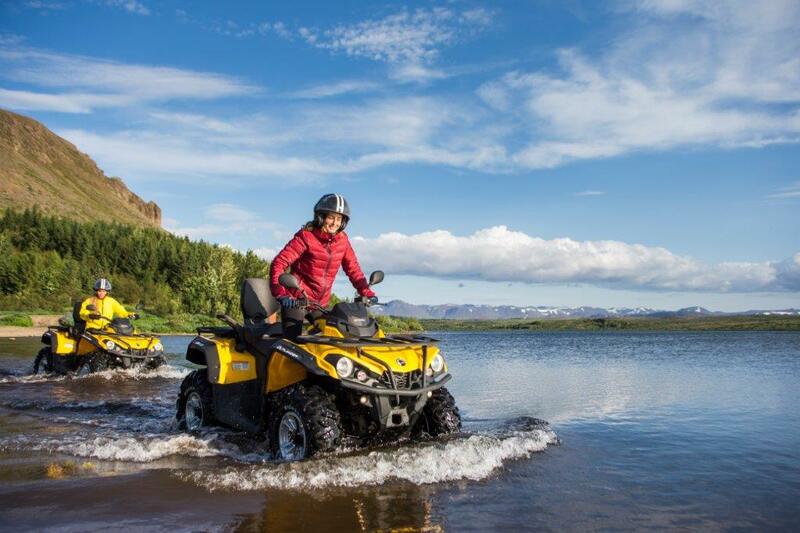 The combination day tour includes adrenaline filled mountain ATV off-roading followed by an epic adventure within the rapids of a canyon river. This tour will have you end the day fully satisfied with how you spent your day! Rafting down the Hvítá River is a magnificent way to enjoy the Icelandic nature in a different way. Cruise down the great glacier river running all the way from Langjökull glacier, Iceland’s second biggest glacier, and take in the incomparable surroundings that the roaring river has created over the years, with Brúarhlöð canyon as one of the highlights. The canyon has grand rock formations and portholes and you can see how the water has sculptured the breccia walls. Hvítá river also feeds the grand waterfall, Gullfoss, that is one of them most visited attractions in Iceland. After the raft, you can relax in the sauna at Drumbó, enjoy a grilled lamb meal in our restaurant or a drink at the bar. Included: River Rafting on Hvítá river, wetsuit, live-vest, helmet and all equipment for rafting. Entry to sauna and shower facilities. Guidance by a certified rafting guide. Food can also be purchased on location.